twelve moons of gratitude: Stashed! 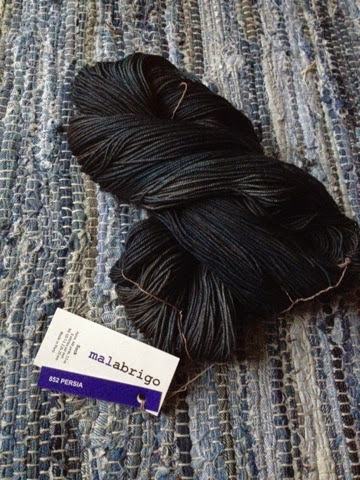 The other day I received a hank of yarn I've been coveting for a veeeery long time; Malabrigo sock. Now, choosing colour was not the easiest thing, since the colourways all seemed pretty fantastic. I am very much in love with teals and blues and muted colours right now so I chose Persia. It is a bit darker than expected but very beautiful. And wonderfully soft. Would be a lovely scarf, but it is going to be socks. I'm really interested in seeing just how durable this sock yarn is, I hear rumours about it giving in rather soon, but their colourways are Simply delicious so I'm hoping for the best.